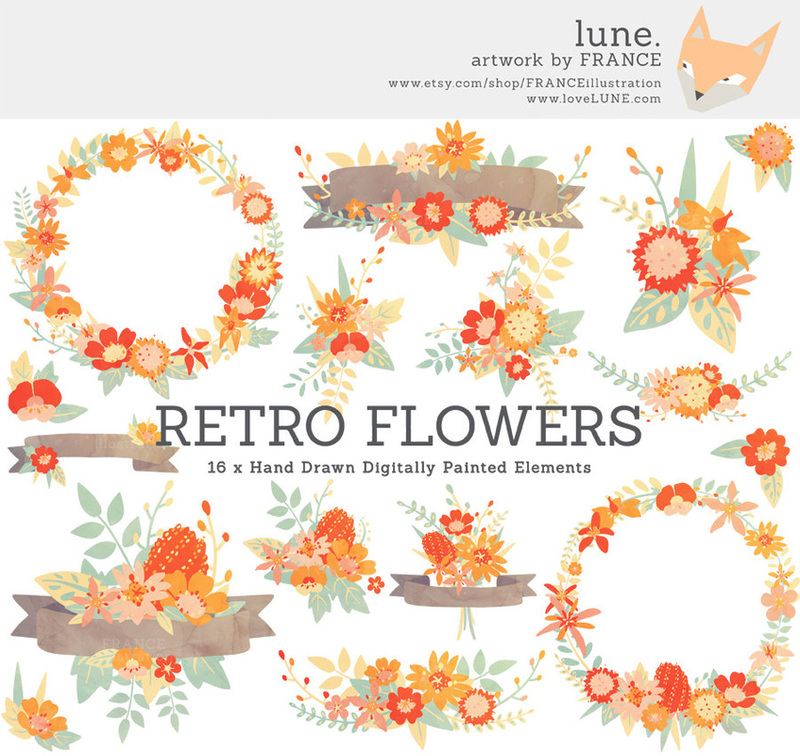 We love the simplistic folk art approach of many Scandinavian inspired graphics, so we tried our best to incorporate that feeling into this hand-drawn digital clip art set. This set has been finished off with a beautiful watercolour texture and subtle retro wash. 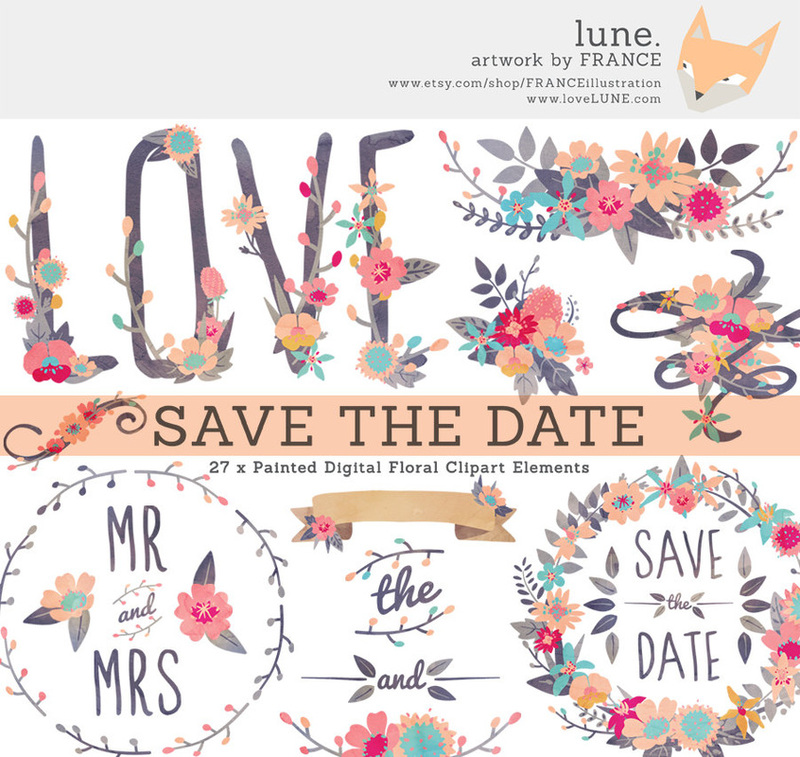 This is a Save the Date mega pack, featuring all you could ever need to create beautiful hand-drawn wildflower themed invitations. This modern twist on a retro colour palette features juicy Pyrex oranges alongside lemon yellow and fresh mint. This set has been finished off with a beautiful watercolour texture and nostalgic retro wash. 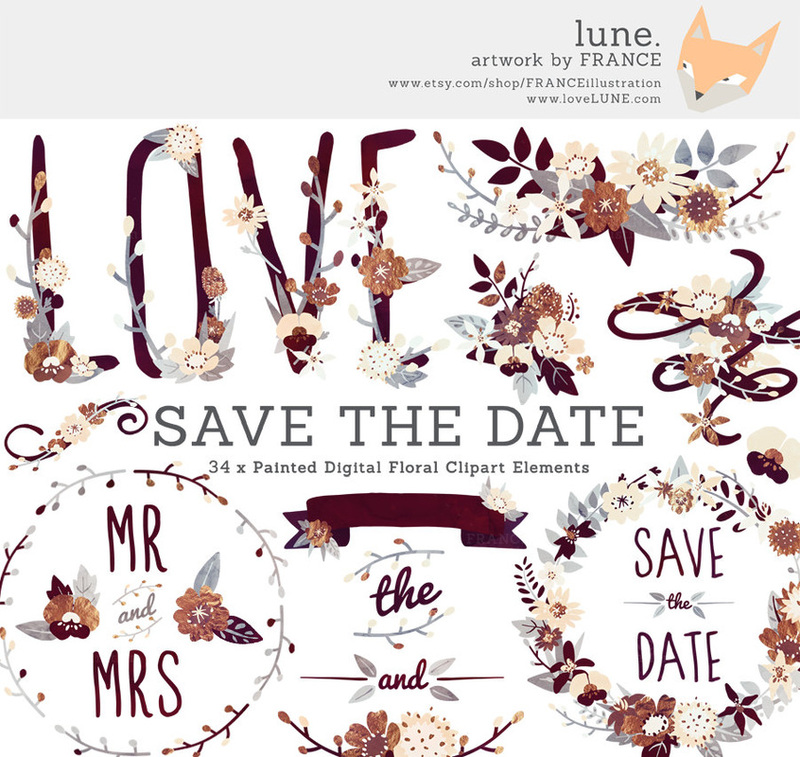 This floral clipart set features a soft watercolor wash with bright metallic bronze foil highlights. "Absolutely beautiful artwork! These are a good size, well-created and the colors are incredible!" - Avery Kasper, 27 May, 2014. "Really beautiful files. Thank you so much :)" - Sparkling Piggy, 15 May, 2014. "Gorgeous! Love your stuff! : )" - Steph, 28 April, 2014.